I LIKE PRIVATE PROFILES. NOBODY PICKS ON ME ANYMORE FOR MY STATS AND I'M WINNING MORE GAMES. 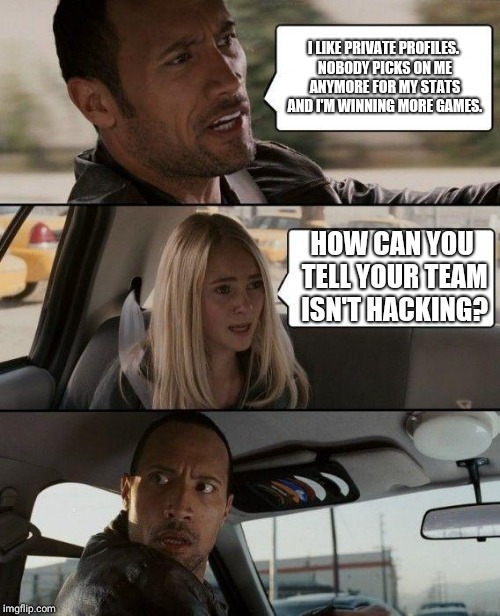 HOW CAN YOU TELL YOUR TEAM ISN'T HACKING?